Welcome to United Trophy and Specialties! Alabama's Largest Award Manufacturer. We are located in Beautiful Historic Downtown Birmingham, Alabama and offer FREE PARKING in our parking lot. A family run business since 1965, we have always strived to provide Quality Customer Service and the Best Products available to our customers. Looking for trophies in Birmingham, Alabama? 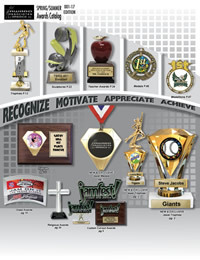 We are your one stop shop for all of your Awards, Trophies, Medals, Name Tags, Signage, Promo Items, Wearables and so much more! Browse our website, or visit our showroom (The Largest In Alabama!) and see what all we can do for you. With 1,000’s of options, we are sure you will find what you’re looking for. Sports teams, Little League, Golf, Football, Baseball, Basketball and Cheerleading. 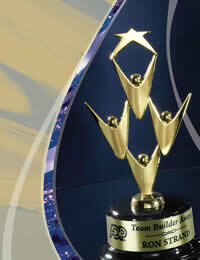 Learn more about our Trophies.